Another major quake another near miss! 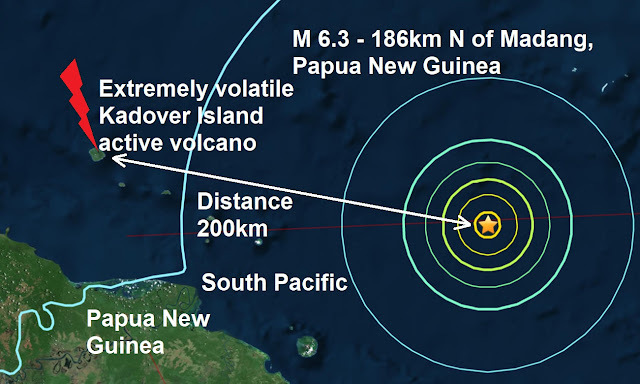 A mag 6.3 - 186km N of Madang, Papua New Guinea just 200km south-east of volatile and extremely active Kadover Island volcano is the 10th major quake of January 2018 and the 6th of an incredibly active week for the Pacific Ring Of Fire with as many volcanoes just as lively as the quakes, 6 extremely active volcanoes with at least 2 warning of a massive eruption imminent. Today's major quake is the 10th major quake to strike our planet this month and of course 2018. 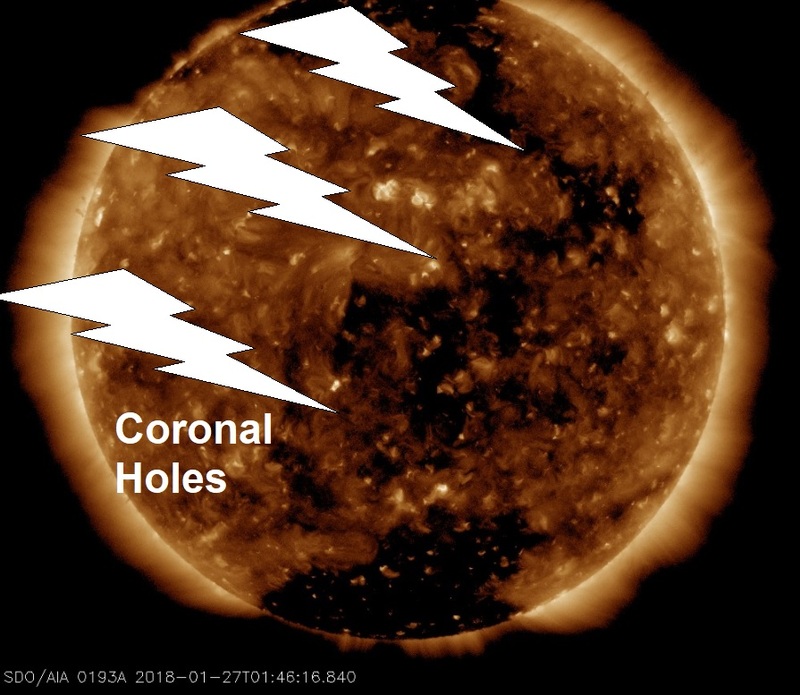 And with Spaceweather.com reporting the sun is leaking solar wind from a peppering of small coronal holes now facing Earth, see pic below, this would imply an impressive 10 from 10 major earthquakes this year have occurred during solar wind and or a coronal hole influencing the Earth's magnetosphere. It is a Big Wobble project this year to document just how many major quakes occur during a coronal hole facing Earth, so far so good, it's 10 from 10, 100 %. The resulting breeze of electrified plasma, blowing ~450 km/s, is causing geomagnetic unrest around our planet's poles.